Foodland Supermarkets in the Eastern United States are a well known chain of independently owned grocery retailers. Each Foodland Supermarket is owned and employed by people in the communities surrounding the stores, and therefore they have strong ties to their customers. 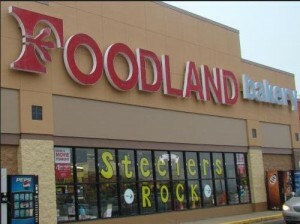 Foodland has 68 stores in West Virginia, Pennsylvania, Kentucky, Ohio and Maryland. Foodland Supermarkets vary in size accordingly with the communities surrounding them. They are classified with lettering depending on sales volume, which can sometimes be higher in smaller stores than larger ones. Foodland has a chain of “superettes” under the name Foodland Express. There are also other subsidiaries, known as Foodland Fresh and Foodland plus. Some Foodland Stores have gas stations which members can gain points for discount on membership cards with each purchase. In addition to the Foodland Fuel Rewards card, Foodland Supermarkets also offer a member reward card, weekly ads, specials, and coupons. Joining Redplum on the Foodland website can give loyal members personalized offers, chances to win prizes, samples, deals and special. A scholarship program is offered by the Foodland and their supplier, SUPERVALU, INC. Students in high school are eligible through certain requirements to apply for a $1,000 scholarship for undergraduate programs towards tuition, fees, books and supplies. This scholarship allows Foodland to reach out to their local community teenagers and promote continuing education and furthering their goals and achievements. would like to let someone know that have purchased a lot of little Debbie snack cakes and recently the last 5 box’s I’ve purchased in Glenville Foodland there’s been 3 out of the 5 boxes the box was sealed but inside the packages have been open i’m not pleased about this someone needs to make sure there packages are sealed properly,think you.the proof of purchase of one of the boxes is 2430004113.